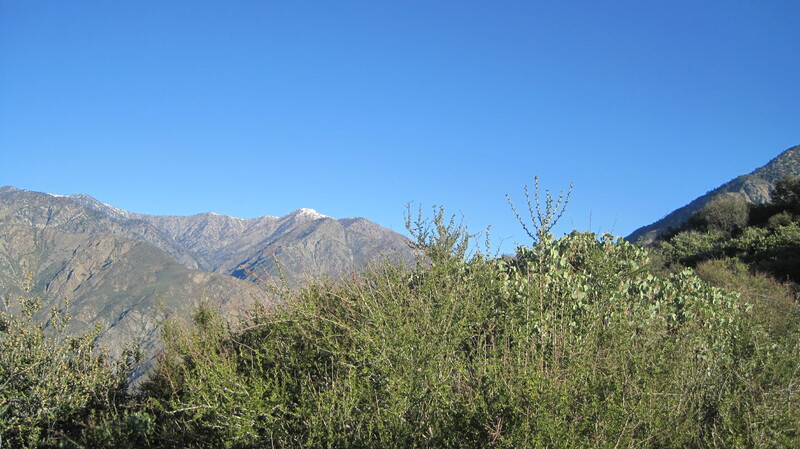 John Robinson, expert author on our precious San Gabes, considers this to be the hardest mountain to summit in the San Gabes. Matt Cav, frequent blogger, agrees. the first two miles ascend a mellow 1,000 feet. the next two miles ascend about 1,500 feet. 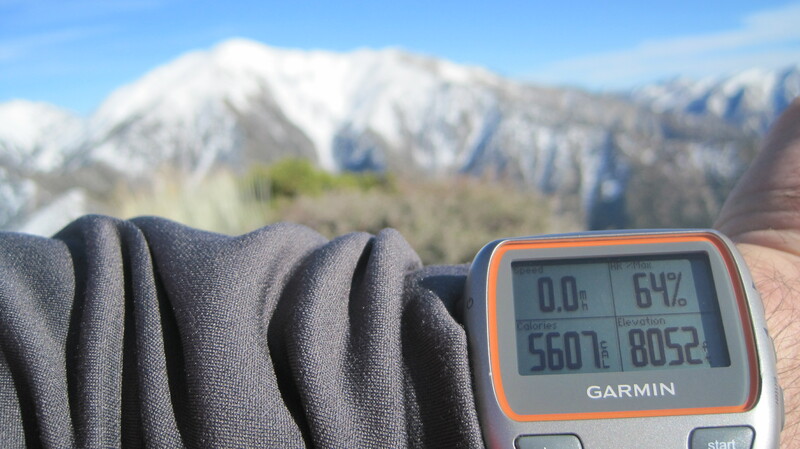 miles 4-6 ascend 2,000 feet. and the last mile and a half or so ascends another 1,500 feet or so. In other words – the first two miles were easy. 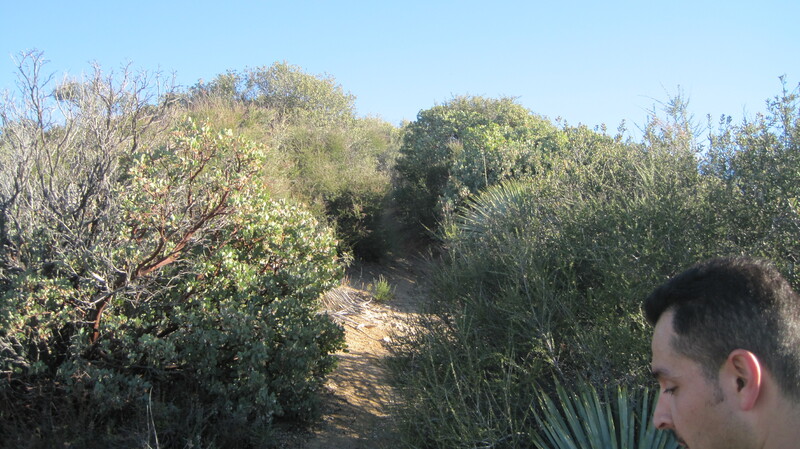 The next two were a bit harder: the trail became clearly overgrown and rarely traveled. We also were completely exposed to the draining sunlight. Miles 4-6 became really goofy, however. We were required to hike multiple sets of grade 3 loose scree, requiring a whole lot more technical skill than the common local hike e.g. Mt. Wilson. 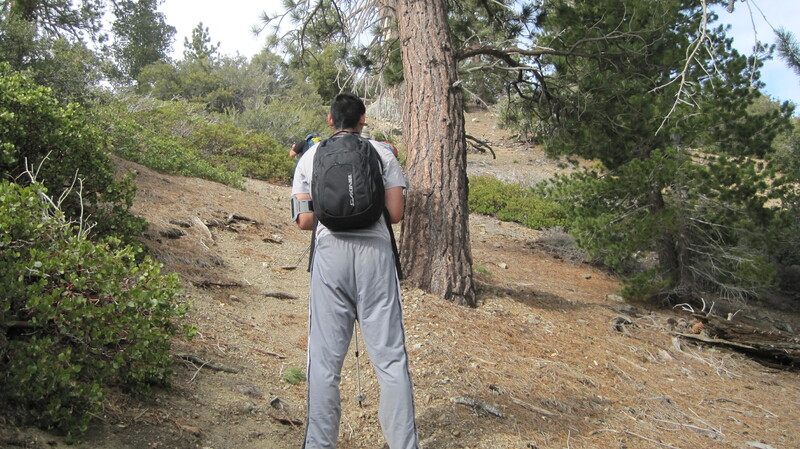 I also became extremely grateful for my trekking poles at this point. 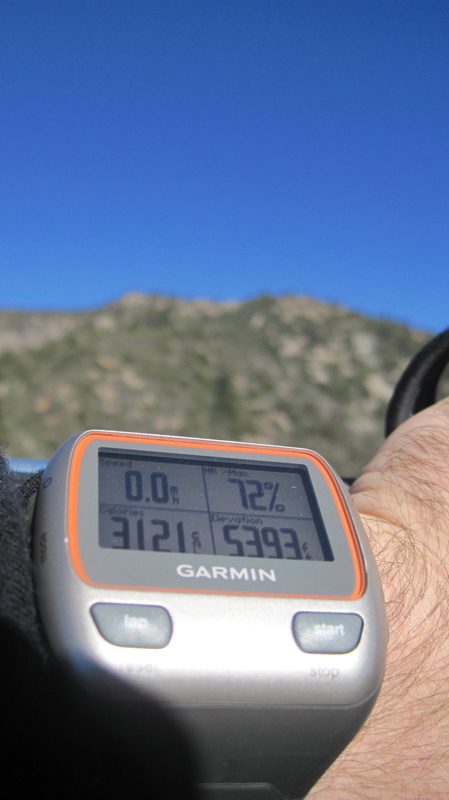 My heart rate monitor routinely showed me at over 90% of my max HR. Going up this area was tough and flat out nuts at times. 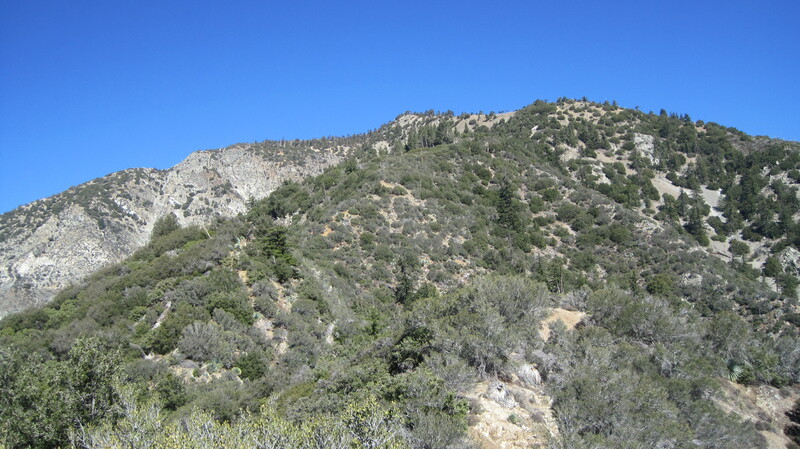 After the 6 mile mark (about 6,000′), we entered into sub-alpine terrain. This required, yet again, more climbing skills. 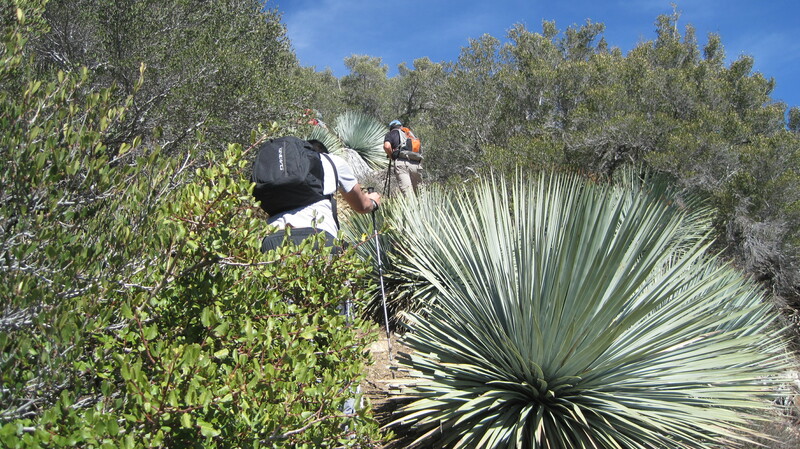 To make things worse, the trails were lined with razor sharp yucca plants, waiting to stab anyone not careful enough to slip into their volatile grip. We fought and fought and fought – for about 3 hours – to make that final glorious ascent to Iron’s summit. 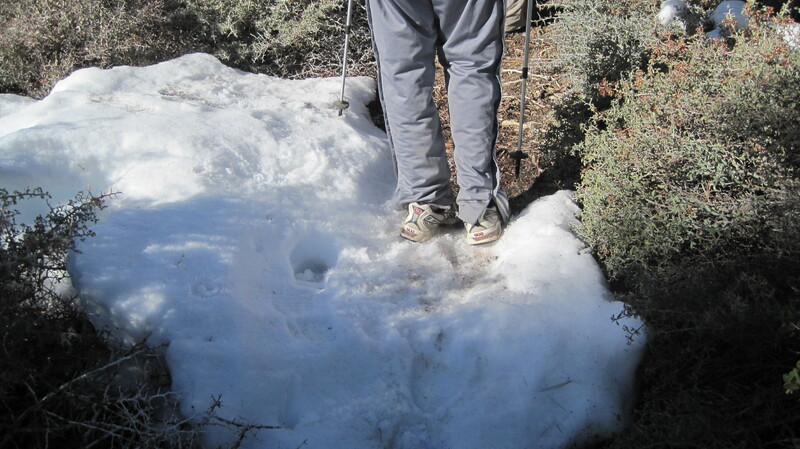 At about 7,800,’ we hit some light patches of snow, but nothing that really affected anyone. 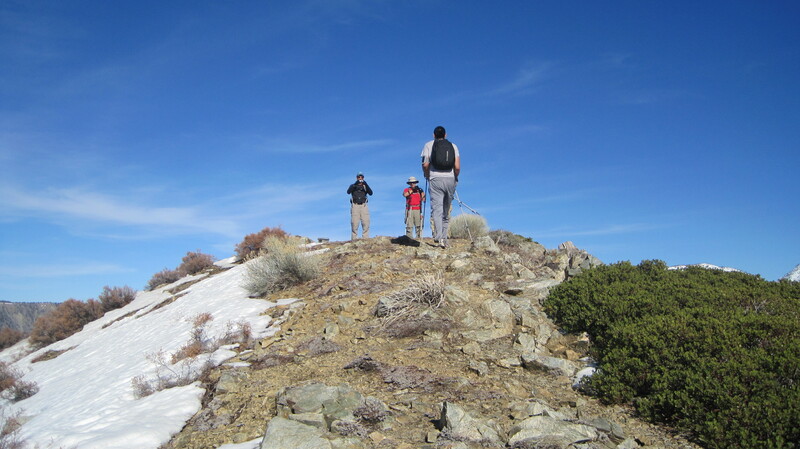 Finally, at 8,000,’ we were there: the summit. 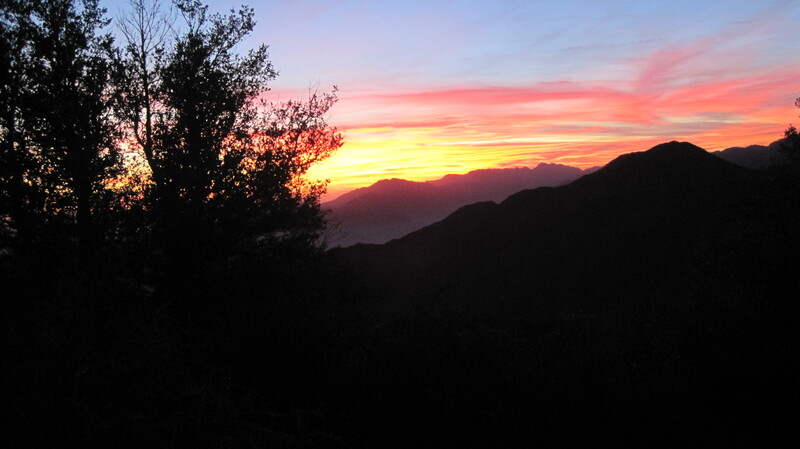 The summit of Iron Mountain hosts a breathtaking 360 degree view of the Angeles National Forest: Ontario Peak, Mount Baldy, Mount Baden-Powell, all of the Hawkins’s, Mount Wilson, and the distant Pacific Ocean. The winds picked up here, as well, with gusts exceeding 40 m.p.h. at times. 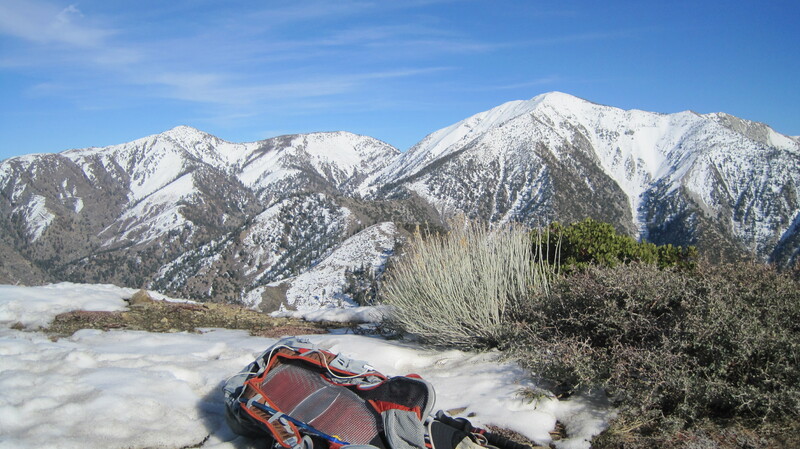 It became cold – probably somewhere in the upper 30’s – and I was thankful that, in my backpack, I had some clothing that had not soaked up my insane amounts of sweat. After enjoying our victory for about half an hour, we began our descent down the peak towards home. That’s when things got even more interesting. By now the time was about 3:30 p.m. and we knew that walking through the darkness would be inevitable. 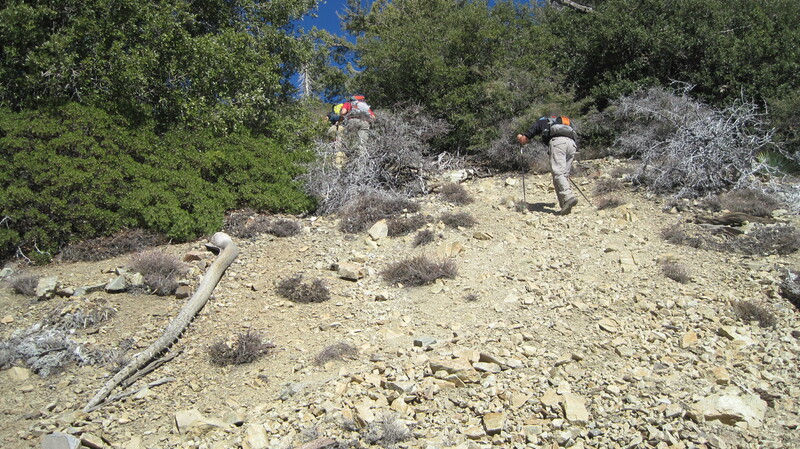 The goal was to navigate down the worst terrain so that we could reach about 4,000 feet or so when it was pitch black out. 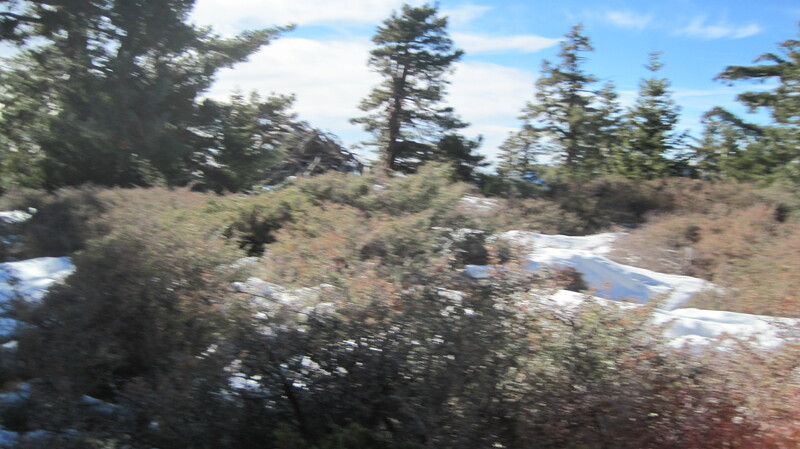 At around 4,000 feet, the trail becomes milder. 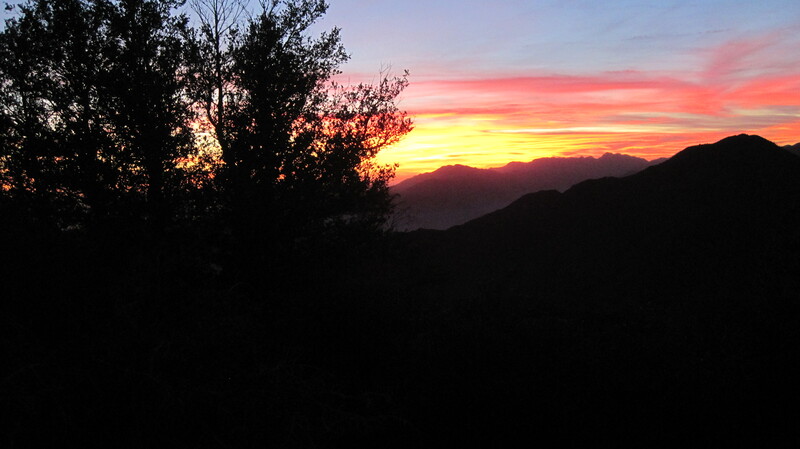 However, at 5:30 p.m. (a beautiful sunset), we were still at 5,600 feet. Between the five of us, only Victor and Jason had remembered headlamps. 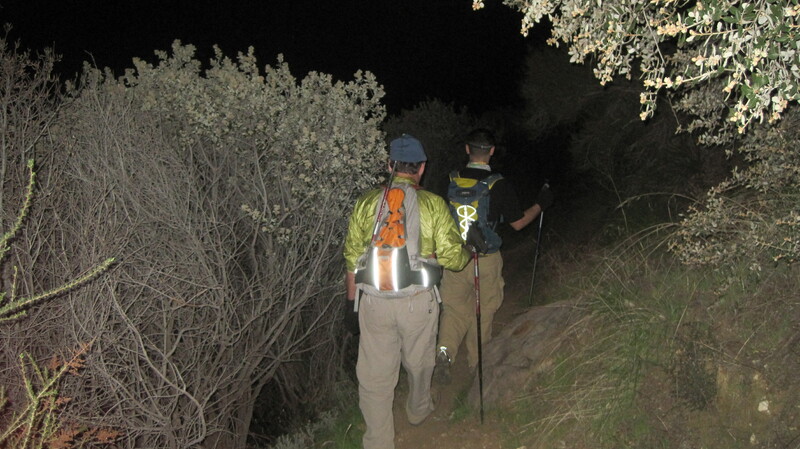 (TIP #1: BRING HEADLAMPS ON NEW HIKES!) Mark and myself were kicking ourselves for forgetting our headlamps at the last second, but I will not make any excuses for neglecting basic safety measures. We began a laborious descent which entailed staying in very tight alignment, due to the lack of light. Victor usually took the lead and would shine a light up at the terrain above him for everyone else to follow. Jason took the back end of our group and shown his Black Diamond Spot forward. This process took a great amount of time, but rushing ourselves would do us no favors at this point. 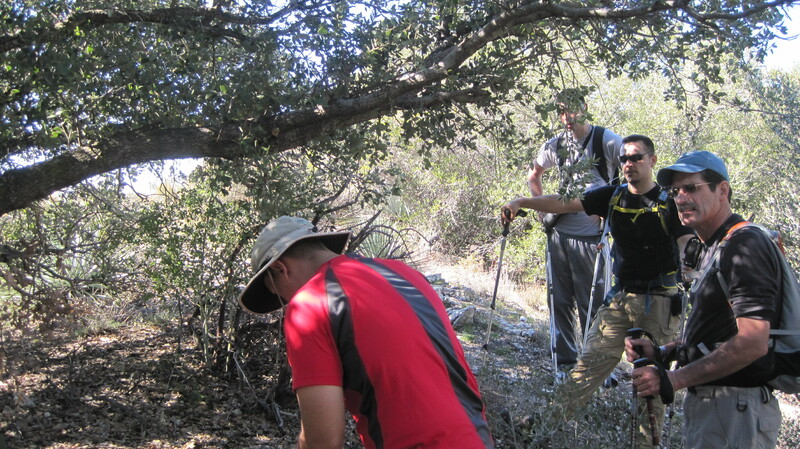 Also, at this point, Chris, a new hiker, was feeling the effects of exhaustion and blisters (TIP #2: NO COTTON SOCKS!) and we had to be mindful of this in our speed. We labored on…and on…and on… one foot in front of the other. At multiple points, I can remember not having much visibility of the trail – so I began to simply mimic Mark’s steps from 5 feet ahead of me. Time ticked on… 6:30 p.m…. 7:30 p.m… until sometime in the 8:00 hour we finally reached Allison Saddle. By now, we were all ready for a nice dinner and shower. 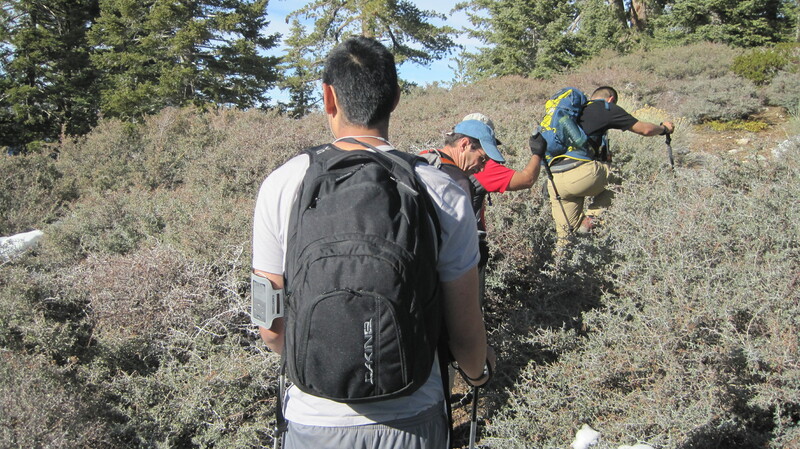 I began to feel impatient, ready to end this hike, but maintaining a slower speed and tight group was still imperative (TIP #3: ALWAYS STAY COOL-HEADED IN DANGEROUS HIKING SITUATIONS). We trudged onward. 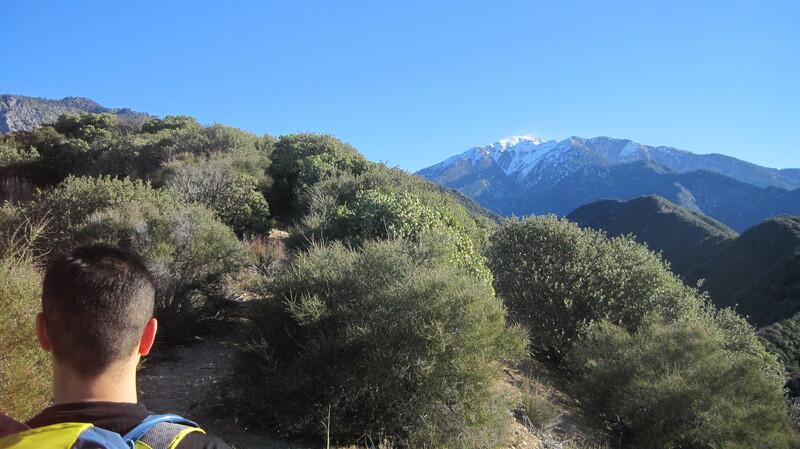 Shortly after 10:00, we neared the end of the Heaton Flat trail. I could tell that Chris was running on empty. I ran ahead of the group and to my car to get some very needed electrolytes (the new Powerbar Ironman drink). I, then, ran back to the descending group, about half a mile behind, and passed the emergency drink to Chris. He pommeled it and, almost instantly, had energy. 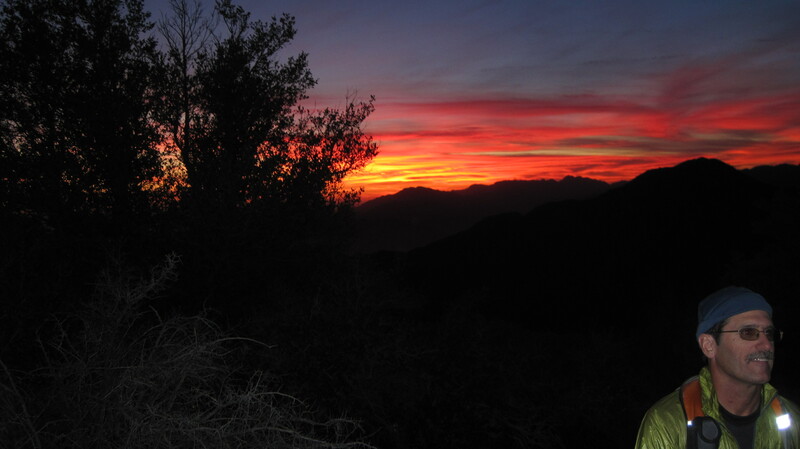 By 10:40 p.m., Mark, Victor, Chris, Jason, and myself were finally finished with our Iron Mountain adventure. 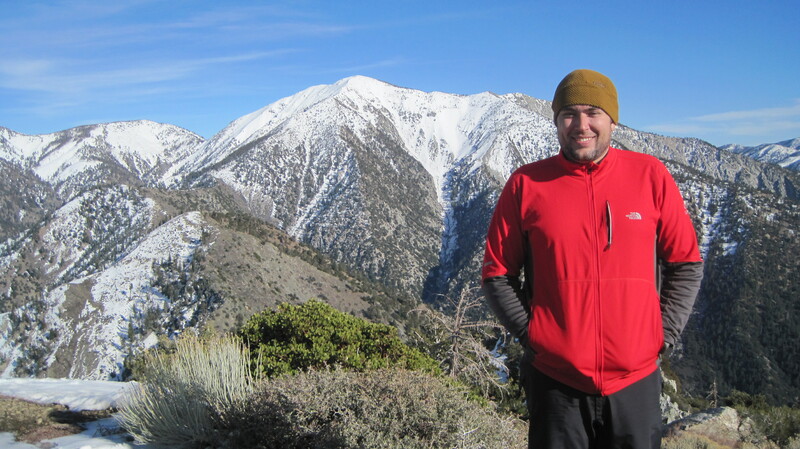 Major kudos go out especially to Chris for fighting through his first long hike with the determination that he showed. 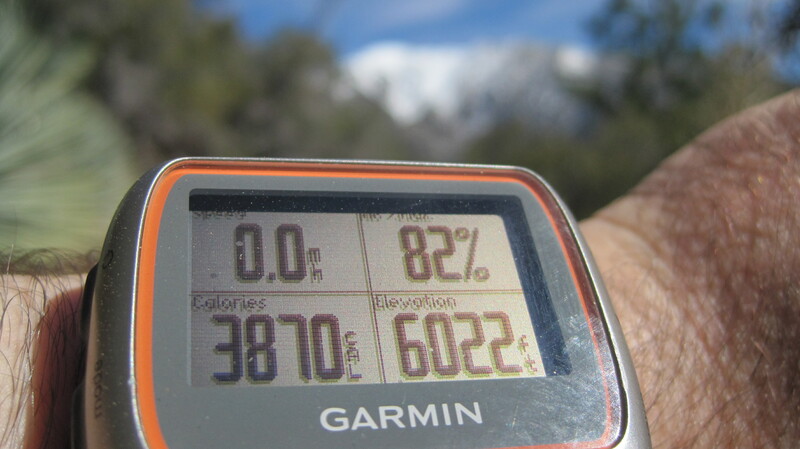 About 7,000 feet of elevation gain. Over 10,000 calories burned by me. 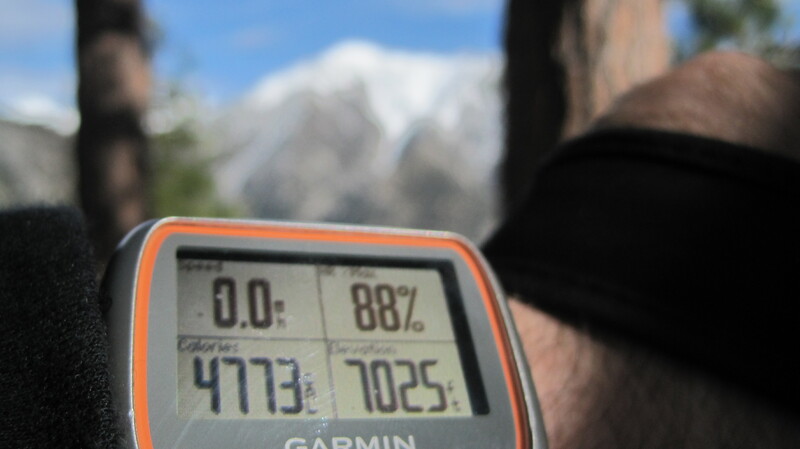 This hike took about 15 hours, largely because of the darkness and sketch descent. I drank 4 liters of water and 2 liters of Hammer HEED/Hammer Perpetuem/Crystal Light. The Hammer stuff worked awesomely. I ate 10 Hammer shots (tropical and apple flavors) and a cup of trail mix. I was never hungry on this hike. 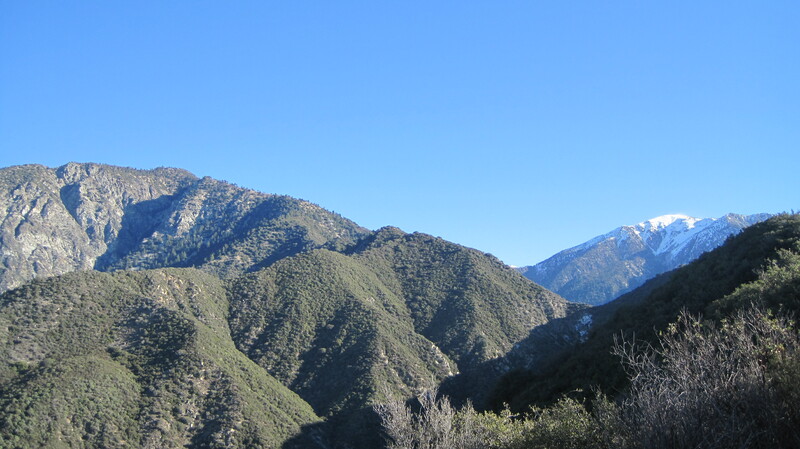 Iron Mountain was the hardest hike I’ve been on in quite some time. I would NEVER recommend this to anyone who is not in excellent hiking shape. 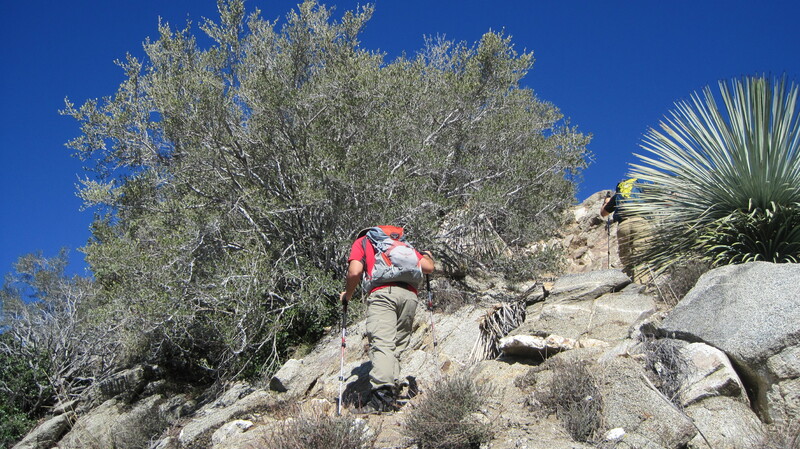 However, if you are in great hiking shape and have good hiking shoes with tread, merino wool socks, abrasion resistant hiking pants, trekking poles, and a will to fight through fatigue, Iron Mountain is one heck of an accomplishment to add to your resume. 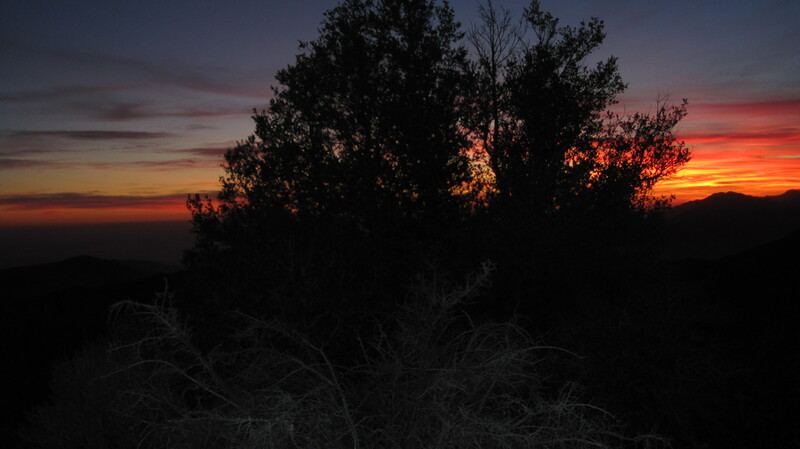 Oh yeah…and bring your headlamp! 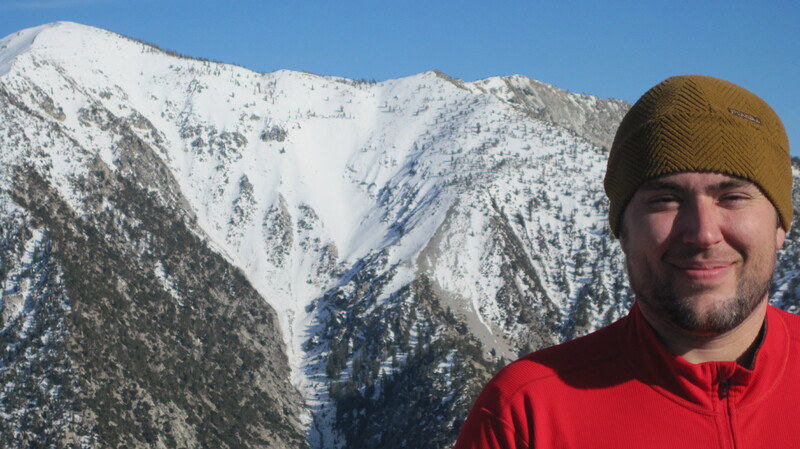 Posted on February 5, 2011, in hiking and tagged 310xt, Allison Saddle, east fork, headlamp, heaton flat, iron mountain, mount baden-powell, mount baldy, ontario peak. Bookmark the permalink. 2 Comments. Great accomplishment! Last time I did Iron I was in *great* shape started at 5AM, and still didn’t get down until 9PM. 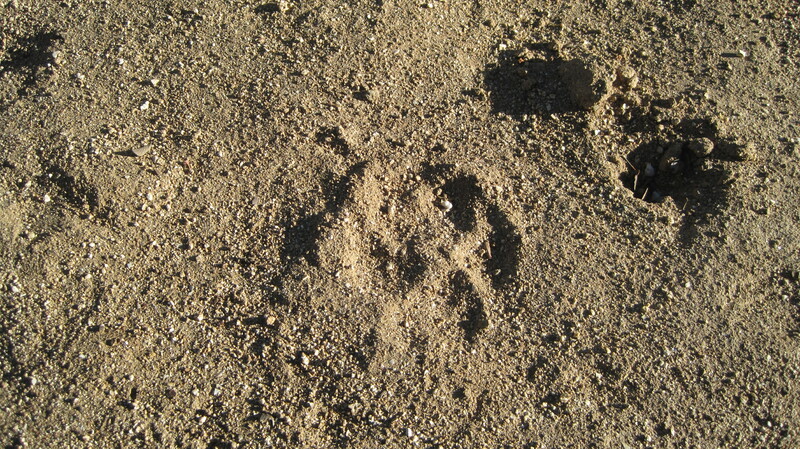 I also did it in the springtime when we had to contend with rattlesnakes. 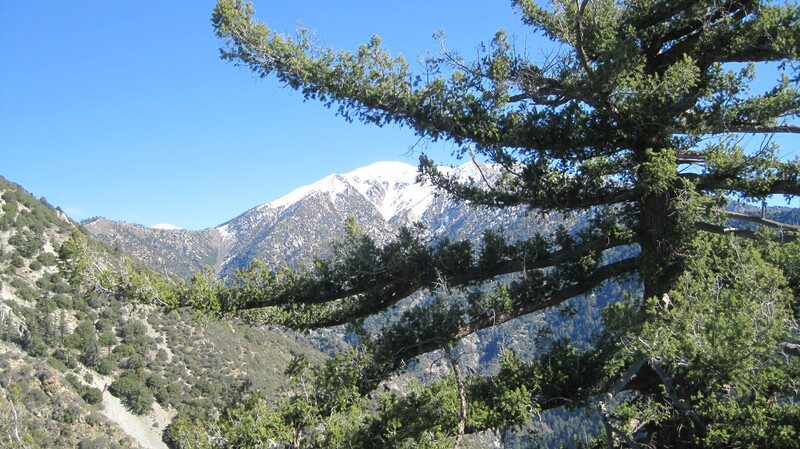 Definitely the most badass mountain in the San Gabriels!